Many real estate buyers and sellers are not aware of the potential pitfalls in a property transaction. There are numerous choices that must be made, including how you will transfer title, whether to purchase title insurance, how many inspections to conduct, and the appropriate type of mortgage to secure. At Pulgini & Norton, our experienced real estate lawyers can advise people in the Plymouth area on their rights and options, including their financial obligations and the terms of the many documents that they will need to sign. One of the key decisions you will need to make as a buyer involves home inspections. The law in Massachusetts requires very few seller disclosures. All buyers must determine for themselves whether there are serious structural or environmental defects in their potential homes. When you retain a home inspector, you should be aware that these are visual rather than exhaustive inspections. For example, a home inspector does not need to report on anything underground, inaccessible, or involving toxins or microorganisms like mold. If he or she suspects a structural defect, you will need a licensed structural engineer. Similarly, if he or she suspects mold, you will need to ask the seller if a small exploratory hole can be drilled to see if there is a mold presence, or you can retain a mold inspector. When you use an Offer to Purchase Form, it should include contingencies for inspections. On a standard form, you have 5-10 days within which to complete a home inspection. If you do not think you will be able to complete the inspection in that time, you should negotiate for a longer period. Moreover, the Offer to Purchase should include a provision about who will do any repairs in case they are necessary after the inspection. The provision should also state that a licensed contractor will perform the repairs and that evidence will be provided that these repairs were completed before the closing. You can agree in advance with the seller that if there is no possible repair or the repairs cannot be completed, you can give notice and a copy of the inspection report in order to get your deposit returned. This should be in a written agreement. There are three main ways to take title to a piece of real estate: tenants in common, tenants by the entirety, and joint tenancy. Each has its own advantages and disadvantages. Only married people can take title to a home as tenants by the entirety. In a tenancy by the entirety, each spouse has the right to occupy and use the property, and there is a right of survivorship. However, this is a form of tenancy in which you cannot transfer your interest in the home without your spouse's consent. For many unmarried people buying a home together, a tenancy in common is the most flexible type of tenancy because each owner can transfer his or her interest as desired upon death. Owners holding title in a tenancy in common can have different shares of the property and take title at different times. For other homeowners, a joint tenancy with a right of survivorship may be the most beneficial form of tenancy because it allows them to avoid probate, which is expensive. In a joint tenancy, the title will automatically pass to the surviving owners or owner. In a joint tenancy, each owner has an equal share. If there are three owners, for example, each will have a one-third interest in the property. Plymouth is now the largest municipality in the Commonwealth. 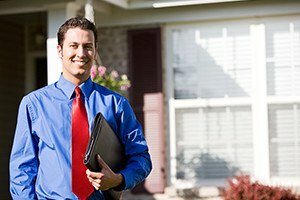 When you buy a home in this area, many important decisions will need to be made. If you are planning on a home purchase or sale in Plymouth, the experienced attorneys at Pulgini & Norton can assist you. Call us at 781-843-2200 or contact us via our online form for a free consultation.